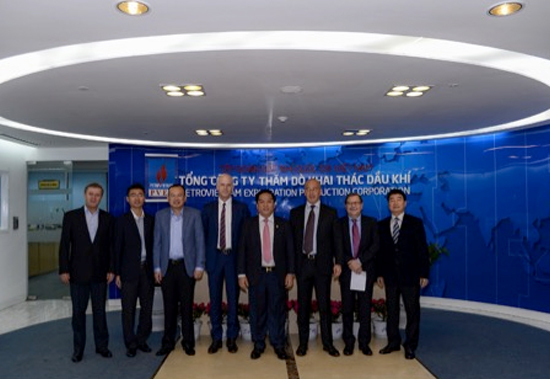 In the morning of 24/02/2016, at the headquarters of PVEP, President & CEO Dr. Ngo Huu Hai had a working meeting with the Shchlumberger Company (SLB) on the prospects for long-term cooperation with PVEP's projects. Attending the meeting, to PVEP were Dr. Ngo Huu Hai, President and CEO, Mr. Pham Nhu Khanh, Vice President and representatives of functional divisions of the Corporation. 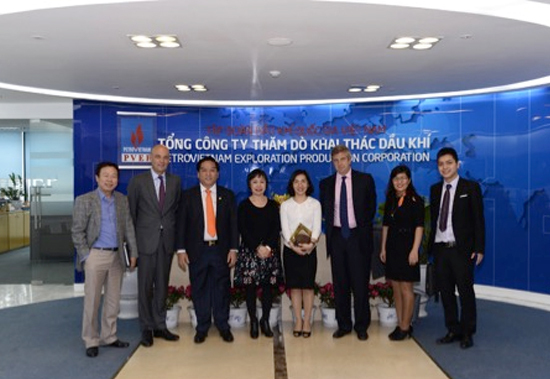 To Schlumberger were Mr. Luca Vizzini - Vice President for Asia and the leaders of Schlumberger Vietnam (SPM). 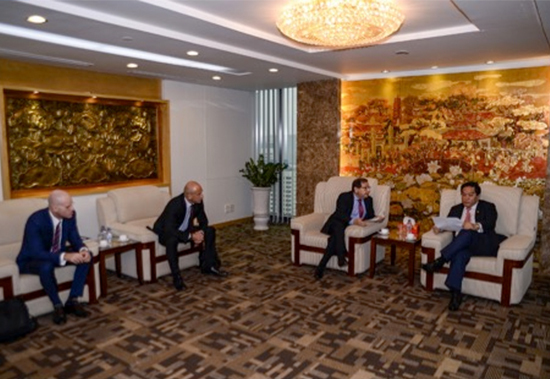 At the working session, leaders of SLB shared information about the operations of the Company, mentioning their number of strong-brand services, new technology products, especially the manners to approach the development projects of PVEP. Schlumberger is one of the familiar partners of PVEP. Schlumberger desires to seek opportunities for long-term cooperation in PVEP's development projects in the coming periods such as the Kinh Ngu Trang/Kinh Trang Nam Block 09-2/09, Kinh Ngu Vang Block 01/10 & 02/10 as well as the gas fields near Block 46/13 aimed to propose solutions and technologies to optimize costs, improve the efficiency of production in the context of current oil prices collapse. PVEP's leaders exchanged frankly and openly about the scope of work that SPM could cooperate in the development projects with PVEP, including those interested by SPM. However, in the current context, with the guideline of stop and extension of the projects, optimization of work program and budget, the proposed models of SPM must be considered carefully in order to apply appropriately to each projects. Besides, leaders of PVEP and SLB/SPM also discussed towards signing the Memorandum of Understanding for cooperation between the two sides in the coming projects. 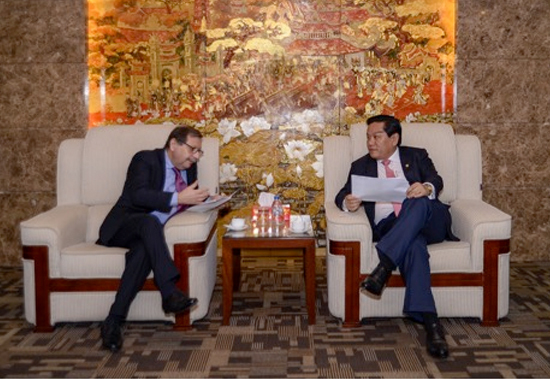 Also in the morning, President & CEO Dr. Ngo Huu Hai and Vice President Mr. Vu Thi Ngoc Lan had a working meeting with representatives of BNP Paribas Bank on the strengthening of cooperation and support between the two sides in current period.